Want to send money to your child, landlord, co-worker or a friend? If your recipient has a bank account at a Canadian financial institution, you can send money any time by using the Interac e-Transfer service in RBC Online Banking(1) or the RBC Mobile(1) app. It's easier than cheques, more secure than cash, and is FREE for all personal chequing accounts(2). No need for stamps, envelopes or mailboxes. It's SIMPLE. All you need is the recipient's name and email address or mobile number. e-Transfer service, including sending by email or text message. If you have an Apple device, you can also send money using Siri for RBC Mobile or directly through iMessage, when enabled in your RBC Mobile settings. It's FAST. Recipients are notified of transfers via email or text message, and can deposit the money immediately through their chosen Financial Institution’s online banking service. To save even more time you and/or your recipient can register for Autodeposit(3) and have funds automatically deposited directly into your account without the need to answer a Security Question or sign into your online or mobile banking services. It's SECURE. The money is transferred through RBC Online Banking or the RBC Mobile app and the Interac network. Only the notification is sent by email or text message. Plus you're always protected by the RBC Online Banking Security Guarantee^. Receiving and depositing an Interac e-Transfer using RBC Online Banking or the RBC Mobile app is always free. And you can view current or past transfers at any time through the "Payment History" link found within Pay Bills & Transfer Funds in RBC Online Banking, or through the "History" tab on the RBC Mobile app. The option to request money(3), through RBC Online Banking, is an easy way to remind someone of money that you’re owed. Whether it’s to pay you back for picking up the tab at the restaurant, or for buying a shared gift, you can quickly and easily send your request using the Interac e-Transfer service. All that you need is an email address or phone number of the recipient and the amount you are requesting. Not Enrolled in RBC Online Banking or the RBC Mobile App? Enrol in 3 easy steps and you will get immediate access to your accounts so you can send money using the Interac e-Transfer service right away. Siri,iMessage and Touch ID are trademarks of Apple Inc., registered in the U.S and other countries. + Transfers can only be made from Canadian dollar bank accounts. * Service fee rendered by Acxsys Corporation, which owns and operates the Interac e-Transfer service. ^ If an unauthorized transaction is conducted through your RBC Online Banking service, you will be 100% reimbursed for any resulting losses to those accounts. For a definition of an unauthorized transaction and for full details regarding the protections and limitations of the RBC Online Banking Security Guarantee, please see your Electronic Access Agreement . 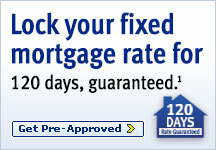 This guarantee is given by Royal Bank of Canada in connection with its Online Banking service. 2) An Interac e-Transfer fee of $1.00 for RBC personal savings accounts or $1.50 for RBC business deposit accounts may apply. Service not applicable for US personal chequing accounts. 3) Autodeposit and Request Funds are a feature of the Interac e-Transfer service. RBC Business deposit accounts will incur an Interac e-Transfer fee of $1.50 for each funds request sent. Start of popup window content - this popup can be closed by using the Esc key or by using the Close links provided to return to the main window. You’ll need to have Touch ID enabled and do some initial setup within the RBC Mobile app in order to start using Siri for RBC Mobile. Start by going to your settings within the RBC Mobile App and selecting “Siri for RBC Mobile”. Enable Siri on your device and confirm that you would like to use this service. Don’t worry – your information is always kept safe and secure at all times. Review and agree to the terms, then select the account that you want your transfers to come out of. This will be the default account used when transferring money with Siri moving forward. End of popup window content - this popup can be closed by using the Esc key or by using the Close links provided to return to the main window. You’ll need to do some initial setup within the RBC Mobile app in order to start using Siri for RBC Mobile. Start by telling Siri that you want to transfer some money to an existing payee. Be sure that you have set them up within the RBC Mobile app or RBC Online Banking before you begin. Confirm with Siri that you want to send it using the RBC Mobile app, and confirm details. Finalize the transfer using Touch ID‡, and you’re done! You’ll receive a notification on screen confirming that the money has been sent, along with the transfer details and the money will be sent to the recipient just like a regular Interac e-Transfer.